We took a family outing to Fubonn last night. I was searching for salted/pickled limes for a new cocktail concoction (which, upon tasting later in the evening, proved delicious. If you like the flavor of Pine Sol). Fubonn stocks by region (sort of), and they have taken to displaying sardines with other foods that share their country of origin. Now it is a Hunt! Let's just say that I got cans. Boy do I have cans. Eva Brand, Pikant (with green chilies). Croatia. Packed in vegetable oil, but without the acrid taste that a low quality oil can sometimes impart. Very neutral with the lightest hint of chili flavor. Briny, fresh smell. 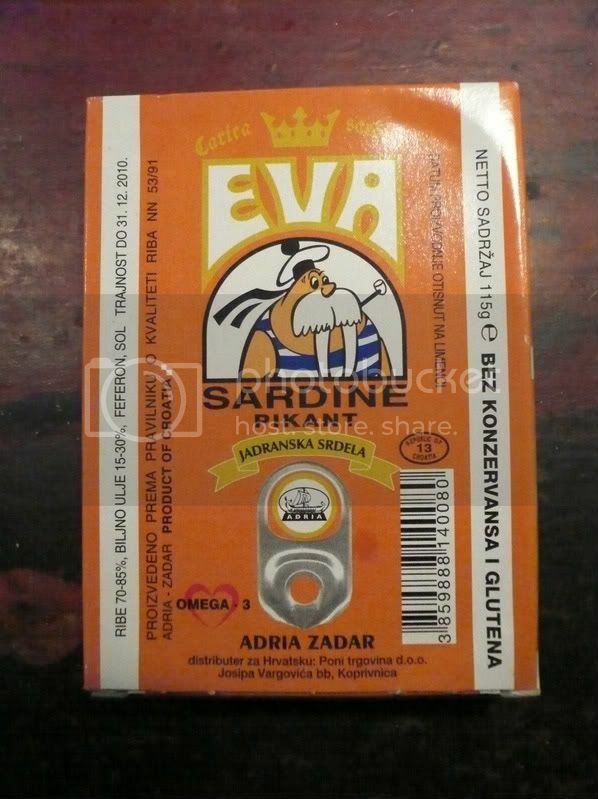 A bigger fishy odor than one would expect from such a mild sardine. Flesh is almost tuna dense, and bones so small/soft so as to be non-existent. Really, very good, and under $2. 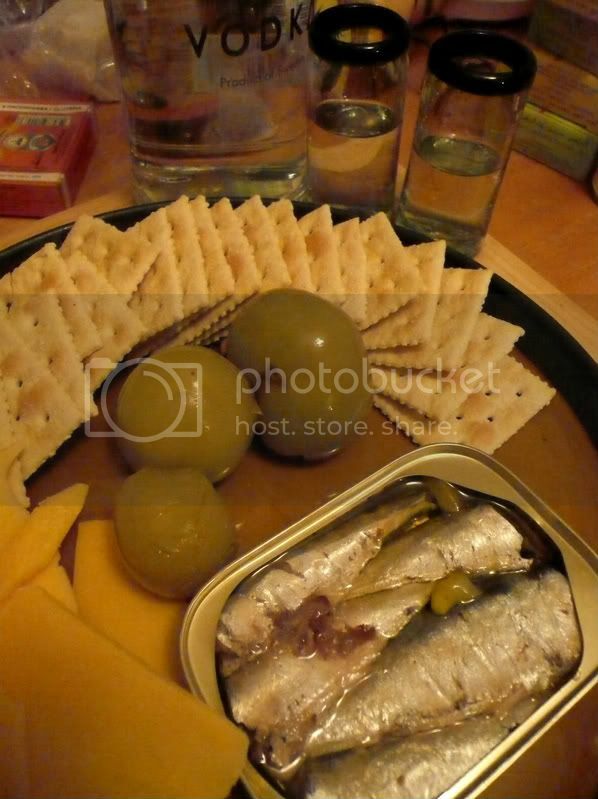 Eaten with saltines, sharp cheddar, pickled green tomatoes, and chilled Svedka Swedish vodka. 4 out of 5 tins, with a Woot! You're much cleverer than you look, you know.